Welcome back my friend to the show that never ends. We took a two month break while my son was visiting, but now its full speed ahead. A few quick announcements before we begin. First, I'd like to mention that the writing of the Horror Crossover Universe is back on track, and I'm shooting for a publication date near the end of 2013. Once more, I'm trying to establish the first Crossover Fiction Online Convention. Besides the gang here at the TVCU, Toby O'Brien at Toobworld, Dale Drinnon at Cedar and Willow, and Chris Nigro at MONSTAAH have said they are on board. We're still working out what this event actually will consist of, so stay tuned for details. James "My Little Pony: Blog Views are Magic" Bojaciuk is now co-owner of the TVCU. James and I have been conspiring together for years, starting first with a Book Club. At one point, we were going to start a web site together devoted to Farmer, but I decided to do this instead. However, seeing how brilliant he is, I invited him to post his own blogs here, which was an extremely brilliant move on my part. James has written a small percentage of the blogs here, but his are the most viewed and a major part of the success of this website. It was only logical for to make him my partner once more since he has such a large stake here, and it allows me some time to work on my book and the convention while keeping things going here. Speaking of which, I've given Ivan and Gordon more editorial control over the worlds of the supernatural and classic TV (respectively) to also lighten up my duties. 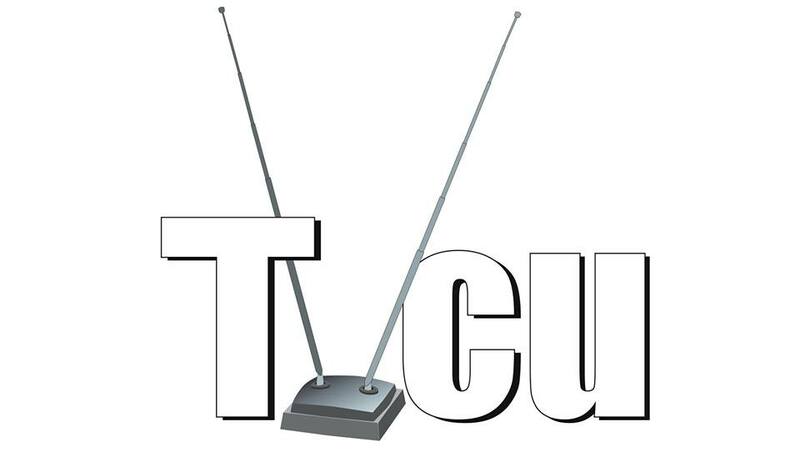 John D. Lindsey and Matt Hickman have been added at TVCU crew members and will contribute when they are able. We still accept guest blogs. If you wish to submit, you can send your blog to myself or James. I am now a "full-time writer". This is now my full time occupation. Which means lots of writing and lots of eating remen. OK, on to the blog. J.J. Abrams loves crossovers, and so I love him. I really really appreciate when professional writers and directors embrace the shared concept reality, and do it even in subtle ways. Abrams does this among his works in the greatest ways: fictional bands, drinks, candy bars, even numbers. That's right. Numbers. Approximately 4 A.D.--Origin of Jacob and the Man in Black. World War II--ESCAPE TO NOWHERE--This isn't really a feature film, and it's hardly a short. What it actually is is a home movie with a plot. 15-year-old Steve Speilberg thought his dad's 8mm camera was pretty cool, so he made a movie about brave soldiers fighting nazis during WWII. A lot like the other Speilberg film Battle Squad, filmed the same year, with a bunch of kid soldiers. Lot's of fun, even though all we see are a few seconds of the film. July 1977--LOST--SEASON 5--Some island survivors are thrown back to this time period. Summer 1979--SUPER 8--During the summer of 1979, a group of friends witness a train crash and investigate subsequent unexplained events in their small town. James Bojaciuk adds: Slusho also appears in the new movie Super 8, but that was almost to be expected in a movie directed by Abrams. 1982--FIRELIGHT--Menacing UFOs attack citizens of a town. 1987 to 1997--MARRIED...WITH CHILDREN--This is the story of shoe salesman Al Bundy, cursed with bad luck (literally). His wife is lazy and selfish. His daughter is dumb and slutty. And his son is a total loser. The typical all-American family. Note that Playpen Magazine is seen often on this show. Playpen Magazine also appears in THE X-FILES, MILLENNIUM, SPECIAL OPS FORCE, THE PRETENDER, THAT GIRL, GROSSE POINT, RENEGADE, PACIFIC BLUE, 3RD ROCK FROM THE SUN, THAT 70S SHOW, CSI: CRIME SCENE INVESTIGATION, RULES OF ENGAGEMENT, LOST, SUPERNATURAL, IN CASE OF EMERGENCY, and KYLE XY. 1990--TAKING CARE OF BUSINESS--An uptight advertising exec has his entire life in a filofax organizer which mistakenly ends up in the hands of a friendly convict who poses as him. 1993--SIX DEGREES OF SEPARATION--An affluent New York couple find their lives touched, intruded upon, and compelled by a mysterious young black man who is never quite who he says he is. 1994--FUTURE SHOCK--A psychiatrist uses virtual reality to probe the minds of three unsuspecting patients, unleashing horrific psychic forces in the process. 1996--THE PALLBEARER--A young man's life is thrown into a loop when he is asked to be a pallbearer for the funeral of a classmate he doesn't remember, and his old high school crush temporarily returns to town. 1997--GONE FISHIN'--Two fishing fanatics get in trouble when their fishing boat gets stolen while on a trip. 1998--ARMAGEDDON--After discovering that an asteroid the size of Texas is going to impact Earth in less than a month, NASA recruits a misfit team of deep core drillers to save humanity. 1998 to 2002--FELICITY--A young fresh out of high school girl, follows her high school crush to college to be near him. 1999 to Present--FAMILY GUY--The story of the Griffins. Peter is literally retarded. Lois is his hot and slightly saner wife. Their kids are teenagers Chris and Meg and baby Stewie, who is a super genius. The final family member is their intelligent talking dog Brian. Note that in the 12 years the show has been on, the characters have not aged. The magazine Playpen is often seen on the show. Playpen Magazine also also appears in THE X-FILES, MILLENNIUM, SPECIAL OPS FORCE, THE PRETENDER, THAT GIRL, GROSSE POINT, RENEGADE, PACIFIC BLUE, 3RD ROCK FROM THE SUN, MARRIED WITH CHILDREN, THAT 70S SHOW, CSI: CRIME SCENE INVESTIGATION, RULES OF ENGAGEMENT, LOST, SUPERNATURAL, IN CASE OF EMERGENCY, and KYLE XY. Those shows all occur in the TVCU. There are also Family Guy video games that are canon. Also on FAMILY GUY is a video store called Lackluster Video. Lackluster also links to other shows that I can place inside the Anomaly They are DARIA, MISSION HILL, and THE SIMPSONS. Of course, DARIA then brings in BEAVIS AND BUTTHEAD, which brings in THE HEAD. 2001--JOY RIDE--Three young people on a road trip from Colorado to New Jersey talk to a trucker on their CB radio, then must escape when he turns out to be a psychotic killer. 2001--SHREK--FAR FAR AWAY LAND--An ogre, in order to regain his swamp, travels along with an annoying donkey in order to bring a princess to a scheming lord, wishing himself King. September 2001--ALIAS--Season 1--"Truth Be Told"----aired September 30, 2001--Sydney Bristow is a college student who leads a double life: she works for shadowy government agency called SD-6 which supposes to be a branch of the CIA and reports to the shady Arvin Sloan. Recently fiancé ed, she tells her boyfriend, Danny Hecht, the truth. The next day, he is murdered. Later, Sydney's father, Jack Bristow, tells the truth: he is a double agent for the real CIA, as SD-6 is a renegade agency who allegedly killed Sydney's fiancé. Sydney must take a decision upon which revenge and justice will haunt her upon the rest of her life. Summer 2002--ALIAS--Season 2--"The Telling"--aired May 4, 2003--CIA agent Eric Weiss claims that his great-great uncle is Harry Houdini (whose real birth name was Erik Weisz and changed to Ehrich Weiss when he emigrated to America). Summer 2002--ABC'S 50TH ANNIVERSARY CELEBRATION--Sydney Bristow meets COLUMBO. March 26, 2004--ALIAS--Season 3--"The Frame"--aired March 26, 2004--Date for placement of this episode comes from Lauren's event calendar in the episode. September 22, 2004--LOST--"Pilot"--An Oceanic Airlines plane disappears, in reality crashing into a desert island. Oceanic is one of those fictional companies that gets used a lot making crossover connections. It has been used in JAG, ALIAS, EXECUTIVE DECISION, CATEGORY 6: DAY OF DESTRUCTION, PANIC IN THE SKIES, CODE 11-14, NOWHERE TO LAND, AFTER THE SUNSET, DIAGNOSIS MURDER, THE WAR AT HOME, HUSTLE, CHUCK, LAX, and TALES OF THE SHADOWMEN VOLUME 2: GENTLEMEN OF THE NIGHT. I'm sure there are others that I will miss. Please feel free to contact me and let me know so I can add them to my next update in six months. It should also be mentioned that at some point in the show, Nozz-a-la Cola is mentioned, which was seen in KINGDOM HOSPITAL. Note that the entire series time on the island up to "There's No Place Like Home" takes place between September 22 - December 31, 2004. For a full timeline, see http://lostpedia.wikia.com/wiki/Timeline:December_2004. 2004--LOST: MISSING PIECES--13 never-before-seen stories taken from the 'Lost' Flashbacks. The creative team is the same and the stories give more clues about the past days of the island characters. Mid October 2004--LOST--"Homecoming"--An ad for Gannon Car Rentals appears. Gannon will be seen frequently in LOST, and is also seen in the show HEROES. November 2004--ALIAS--Season 4--"The Awful Truth"--aired January 12, 2005--A song is playing at a party by the band Driveshaft, which is a fictional band of which one of the stranded castaways from LOST was a member. Charlie Pace was that band member. In addition to being a rock star, he had once tried to settle down to a normal job, applying for a job with Wertham-Hogg, the paper company featured in the British reality show called THE OFFICE. November 2004--ALIAS--Season 4--"Ice"--aired January 19, 2005--Agent Sydney Bristow attempts to purchase a bio-weapon called ice-five, very similar to ice-nine from CAT'S CRADLE. December 3, 2004--LOST--"Flashes Before Your Eyes"--A stack of Playpen magazines appear. Playpens have appeared in other shows such as X-FILES, SPECIAL OPS FORCE, THE PRETENDER, THAT GIRL, GROSSE POINT, RENEGADE, PACIFIC BLUE, 3RD ROCK FROM THE SUN, MARRIED...WITH CHILDREN, FAMILY GUY, THAT '70S SHOW, CSI, RULES OF ENGAGEMENT, SUPERNATURAL, IN CASE OF EMERGENCY, KYLE XY and MILLENNIUM. 2005 to 2007--LOST--The survivors back in mainland. Winter 2005--VERONICA MARS--"Donut Run"--Private Investigator Veronica Mars has a fortune cookie with lucky numbers 4, 8, 15, 16, 23, and 42. These numbers tend to be extremely significant in LOST and other Abrams shows. I didn't want to accept their crossover value, but uses the numbers as connectors, so I feel I must accept that if these numbers are of some cosmic significance in both the Crossover Universe and Earth Prime-Time, then likely the same should be true in the Television Crossover Universe. Of course, the number 42 is also the answer to life, the universe,and everything as revealed in HITCHHIKER'S GUIDE TO THE GALAXY, and rumor has it all the numbers were important numbers of New York Yankees players. James Bojaciuk adds: Yes. I wouldn't readily apply it to shows that don't involve Abrams in some way--but it seems like the Numbers are one of his trademarks. Like Slusho! but a bit less obvious. 2005--THE CATCH--This ensemble drama is set in the world of bounty hunters. 2005 to Present--SUPERNATURAL--Playpen is often seen on the show. Playpen Magazine also also appears in THE X-FILES, MILLENNIUM, SPECIAL OPS FORCE, THE PRETENDER, THAT GIRL, GROSSE POINT, RENEGADE, PACIFIC BLUE, 3RD ROCK FROM THE SUN, MARRIED WITH CHILDREN, THAT 70S SHOW, CSI: CRIME SCENE INVESTIGATION, RULES OF ENGAGEMENT, LOST, SUPERNATURAL, IN CASE OF EMERGENCY, and KYLE XY. Winter 2006--HEROES--"Run!" --The first of several appearances on this show of Gannon Car Rentals. Hiro rents his Nissan Versa. Gannon has also appeared on NIP/TUCK. 2006--MISSION IMPOSSIBLE III--Ethan Hunt comes face to face with a dangerous and sadistic arms dealer while trying to keep his identity secret in order to protect his girlfriend. September 2006--CHUCK--"Chuck Versus the Helicopter"--Chuck Bartowski, whose head has been filled with government secrets, seems to know about the crash of Oceanic Flight # 815, saying it was shot down. This is the crash that led to the series LOST. Tracy Jordon discovers he is a descendant of Thomas Jefferson. 30 Rock is in the TVCU based on a crossover with LOST. Late October 2006--ALIAS--Season 5--"Out of the Box"--aired 27, 2005--One of the characters mentions the year. February 2007--THE OFFICE--"Cocktails"--While Michael and Jan go to their first Dunder Mifflin outing as an official couple, the office workers left behind go out for happy hour. During happy hour, Roy finds out that Jim and Pam kissed at Casino Night. May 2007--SO YOU CREATED A WORMHOLE--SO YOU CREATED A WORMHOLE is written by some guys in the future, after the Rise of the Machines, in the Whoniverse, but because much of the historical documents of the past were destroyed, they have pieced history together via time travel, but their device seems to work with Time And Relative Dimension In Space, so they often hop from one alternate reality to the other, so a lot of what they think is one timeline is several, a possibility they themselves present as being possible. Crossovers: TVCU: Back to the Future (also Captain Future timeline, TVCU2, Mirror Universe), Forbidden Planet, the Time Machine, Time Cop, A Conneticutt Yankee in King Arthur's Court, Star Trek, Timeline, Stargate, Bill and Ted (with claims that the Doctor gave Rufis time tech, though this may simply allude to the relationship between both sets of Time Lords), Hot Tub Time Machine (also TVCU2), Star Wars, Futurama, Donnie Darko, Army of Darkness, Time After Time, Lost, Philedelphia Experiment, 12 Monkeys, Quantum Leap, X-Files, Gundam, Power Rangers, Voltron, iRobot, Hitchhiker's Guide to the Galaxy. Whoniverse: Terminator, www.thetimetravelguide.com, Teenage Mutant Ninja Turtles film series, Superman film series, Alien, Doctor Who, Land of the Lost, Battlestar Gallactica. TVCU2: Star Trek reboot. Q-universe: Planet of the Apes. And I'm sure I missed some. Also note some of the reality placements are based on specific previous crossover connections, and for those that I had no previous connection I just placed in the TVCU, but if there's strong enough argument for placement in the Whoniverse, let me know. James Bojaciuk adds: I'm reading it now. So far I think you've caught everything. There's a mention of Nazi Zombies on 268, which is probably meant as a crossover with Call of Duty: Nazi Zombies. Yes, a video game. The video game already crosses over with LOST (a loudspeaker continually recites the numbers over and over). 2008--CLOVERFIELD--TVCU2--Placed in the TVCU2 because giant monsters destroying New York doesn't work in the world of Law & Order and How I Met Your Mother. 2008 to 2012--FRINGE--See my separate blog on Fringe for more about the crossovers with Fringe. October 2008--ELI STONE--"The Path"--The bank Credit Dauphine, which is the cover for the spy organization SD-6 in ALIAS, appears. 2009--ANATOMY OF HOPE--Medical drama based on the lives of cancer patients. Based on Jerome Groopman's "The Anatomy of Hope: How People Prevail in the Face of Illness." 2009--THE PEOPLE SPEAK--EARTH-PRIME--A look at America's struggles with war, class, race and women's rights. based on Howard Zinn's "A People's History of the United States." 2009 to 2010--BETTER OFF TED--There was a crossover. I can't find it, but there was. Listing it anyways. 2010--MORNING GLORY--An upstart television producer accepts the challenge of reviving a struggling morning show program with warring co-hosts. 2010 to 2011--UNDERCOVERS--Years into their retirement, a husband and wife team are re-activated as CIA agents. 2011--MISSION IMPOSSIBLE: GHOST PROTOCOL--The IMF is shut down when it's implicated in the bombing of the Kremlin, causing Ethan Hunt and his new team to go rogue to clear their organization's name. 2011 to 2012--PERSON OF INTEREST--An ex-CIA hitman and a scientist team up to prevent crimes before they happen. 2011 to Present--ONCE UPON A TIME--There are many alternate dimensions whose origins are unknown, but there are many things parallel. One such dimension is the Enchanted Forest, where a different version of fairy tales happened in an ambiguous once upon a time. However, many of these characters found themselves trapped in the town of Storybrooke, in the TVCU, with amnesia,and apparently not aging, though not aware of it, which is part of a what we para-scholars call a time lock. Here Belle's Beast was actually Rumplestitlskin, and she is currently being locked up a prisoner of Snow White's step-mother. Cinderella has also appeared. This show is full of "Easter egg" crossovers with Lost. Check out this site to see them all. So I've concluded that the Enchanted Forest is indeed in the Rift, as are other realities like the Looniverse, Wonderland, Narnia, Hell, ect. I have also concluded that the island from Lost was part of the Enchanted Forest. Interestingly, it seems that the characters of Storybrooke were living there timelessly until the spell was broken at the start of the show. This timelock is similar to what exists in Riverdale. Interestingly, Riverdale too seems to be slightly existing between two dimensions (TVCU and Looniverse.) I may consider that the shows that are in the Bongo Universe may actually exist in a timelock, existing in both the Looniverse and TVCU, explaining some crossovers that seem to happen in one or the other reality. James Bojaciuk adds: Hrmm. That the Evil Queen can manifest as black smoke reminds me of a theory my friend Tess and I came up with: that the black smoke is a disembodied Great Old One who exists entirely independently of the man in black, just as it existed independently of everyone else it assumed the form of. Once Upon a Time seems to hint that it survived the incident on the Island, and has moved on to Storybrooke to further its goals. the Witch House" he manifests himself as the Black Man. Both act as agents of temptation, and both are identified with dreams. Both the smokey man in black and Nyarlathotep employ an Egyptian motif. I think this is proof positive that the black smoke is Nyarlathotep. Toby O'Brien also adds: It's a Toobworld Dynamic conceit that the 7th Doctor's final speech about visiting a place where the people are made of smoke meant that he had visited the Island of 'Lost'..... and in the first episode the town clock was stuck at 8:15......I see the numerical sequence as being a crossover since there's something universal about them of great power and significance. Ivan Ronald Schablotski also addes: Just remember that they eat Apollo candy bars in Storybrook, Maine, so it should be the same reality as SCRUBS and LOST. Just discovered another Lost / Once Upon A Time connection: Emma's car has a Geronimo Jackson bumper sticker. That's a reference to a fictional band whose hit song "Dharma Lady" was featured on LOST. Also, Emma Swann and Mary Margaret drink MacCutcheon whisky. This is a fictional brand of scotch whisky used throughout the LOST series. Yes, there are many, MANY easter eggs alluding to LOST. Pretty much anytime someone mentions a number, it's one of THOSE numbers! But I can't personally count those kind of references as crossovers. 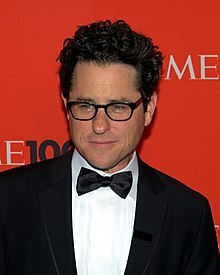 J. J. Abram's new show, Alcatraz, threatens to have a full crossover with LOST every week. Thus far, according to the blogs I checked, we only have mentions of the numbers. It's debatable if that counts as a true crossover or not. Also, time travel in the series seems to be accompanied by nosebleeds--which, as you'll remember, was a sign of time travel on LOST. See also http://comicbook.com/blog/2012/01/17/lost-reference-on-alcatraz/. 2012--SHELTER--In a historic New England summer resort, the staff attend to every need while trying to live a life of their own. 2013--WUNDERKIND--A pair of Nazi hunters from different organizations cross paths while searching for the same target. 2013--COLLIDER--Included due to the fact that Abrams intentionally places all his projects in the same reality. 2014--ALIAS--Future events in which Sydney has a daughter. Unknown date in the future--UNTITLED CLOVERFIELD SEQUEL--TVCU2--The event of Cloverfield occur in the TVCU2, a reality very much like the TVCU but where some things happened a little differently, especially in recent years. David was born an autistic mathematical savant. Present on Aite during Cerberus' Project Overlord, it was discovered that David was able to communicate with the geth on a fundamental level by reproducing their patterns of speech. As part of attempts to exploit the geth's religious tendencies, Cerberus had created a VI to serve as an "overlord" and give the organization complete control over all geth. Desperate to avoid the project's failure, Gavin Archer forcibly incorporated David into the VI program, exploiting his savant ability. After this point, David's high-functioning autism couldn't handle the merger, causing the hybrid VI to go berserk and began rampaging across Aite in an attempt to escape the planet. As a hybrid human/VI David can interface with and control any kind of machinery, including security mechs and geth. He is also capable of interfacing with cyborgs, at least to a certain degree, as he imprints memories and visual data directly onto Commander Shepard in order to show the Commander the events leading up to his forced merging with the VI platform. " 2027--REVOLUTION--UNNAMED ALTERNATE REALITY--This series occurs 15 years after the entire world lost electrical power completely and permanently. Late 23rd Century--STAR TREK--TVCU2--Spock from the TVCU and a bunch of bad guy aliens go back in time and cross over to the TVCU2. Late 23rd Century--STAR TREK: D-A-C--TVCU2--D·A·C in the title stands for the three modes of play available in the game: Deathmatch, Assault, and Conquest. Late 23rd Century--KRE-O STAR TREK--TVCU2--A stop-motion animated story about 'Star Trek' featuring Kre-O toy blocks. Late 23rd Century--UNTITLED STAR TREK SEQUEL--TVCU2--Part of the alternate future of the TVCU2. 2387--STAR TREK--Romulus is destroyed, and a villain blames Spock. He chases Spock into the past, but they are shifted to an alternate reality, which I call the TVCU2. This would be the home reality of remakes of original TVCU events. This is the home, for instance, of the remake of A NIGHTMARE ON ELM STREET. So there was not altering of time. They simply shifted to the past of another reality where they were meant to go. The villain appears first, in 2233, where he causes the death of Kirk's father. Note this film has the drink called Slusho, which has also appeared in ALIAS, HEROES, FRINGE, and CLOVERFIELD. Obviously the drink exists in both realities. Those three shows likely happened in both universes. CLOVERFIELD did not happen in the TVCU, but likely did happen in TVCU2.